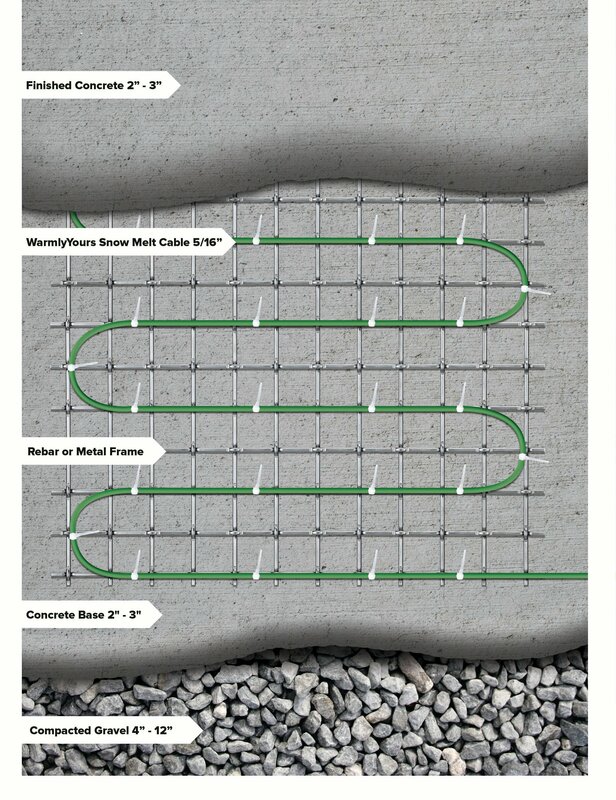 Follow our detailed guide and learn how to install a snow melting system for concrete. 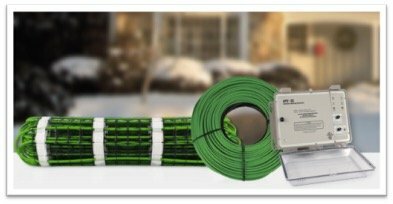 Like any outdoor surface, a new patio can benefit from installing a WarmlyYours snow melting system (available in both mats and cables). 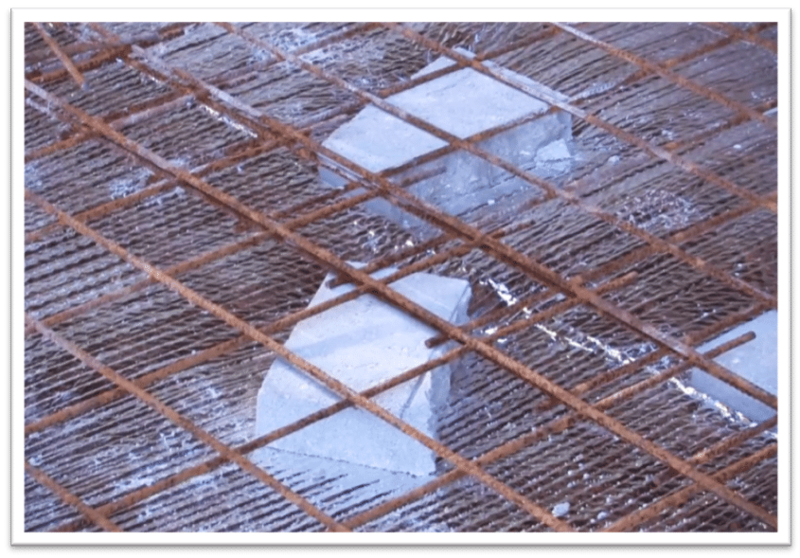 Designed to install directly in concrete, asphalt, or in mortar beneath pavers, our cable snow melting systems ensure that driveways, patios, walkways, ramps, or stairs stay ice and snow free, allowing for safe passage. The patio is your oasis—a place where you can kick back, relax, and unwind. But winter has a bad habit of ruining that by dumping huge amounts of snow on your patio. Even if you go through the backbreaking labor of shoveling it off, you’ll still be left with a dangerous layer of ice. 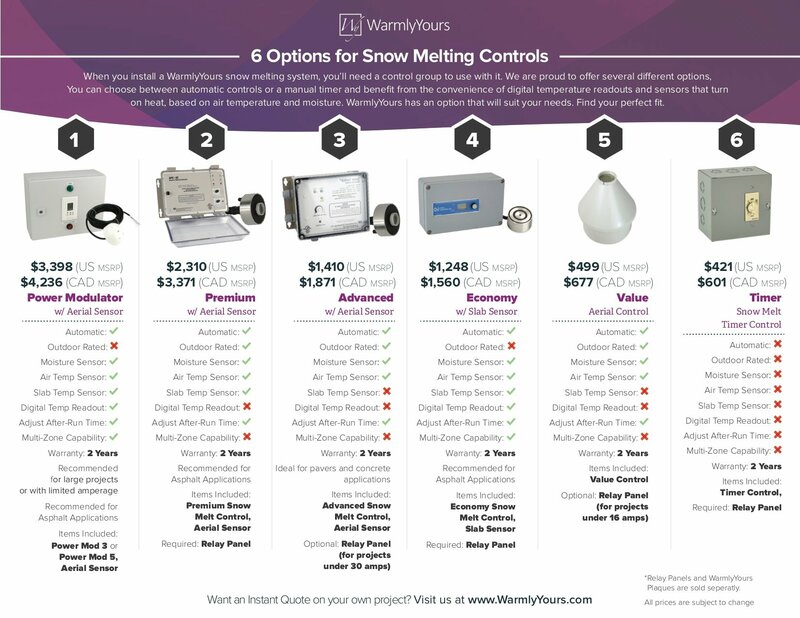 By installing a snow melting system from WarmlyYours in a new patio or veranda construction, you can make sure your patio stays clear of snow and ice throughout the year. This is great for late season grilling or just getting a few moments of fresh air outside of the house. Because the snow melting system is embedded within the surface itself, the best time to install a snow melting system is when a patio or porch is either being created for the first time, redone, or expanded. These kinds of projects are typically undertaken from late spring to late fall. These kinds of projects are typically undertaken from late spring to late fall. The example pictured is of a patio renovation. This patio is located behind the house and it leads to a walkout-basement. Start Smart with a Free SmartPlan. Within typically one day of providing this information, you’ll receive your free SmartPlan. You can get started with an Instant Quote here. The itemized quote included in your SmartPlan will also include MSRP pricing so that you can properly budget for your project. The snow melting heating elements must be installed within the patio itself, approximately 2-3” beneath the finished surface. This spacing ensures the optimal performance of your system. The thinness of an electrical snow melting system (1/4” for cables and 5/16” for mats) means it has a minimal impact on the overall depth of the project. These snow melting systems can be used not only with concrete or pavers, but also with asphalt. Each surface type will have a different cross section with suggested depths, which you can check out here. 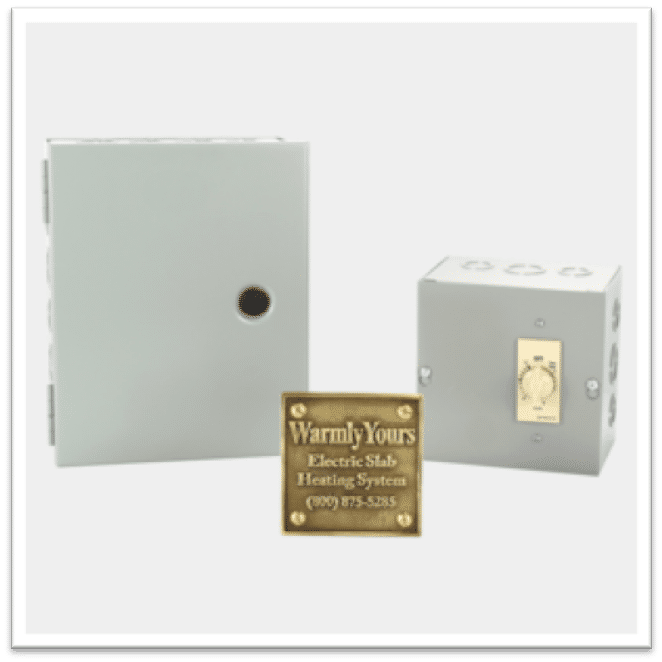 Completing these tests, and recording your readings accurately, will also qualify your project for WarmlyYours’ 10-year warranty. The key to a successful snow melting system is in how it’s embedded. If it’s too deep, it won’t be able to effectively melt snow or ice. If it’s too shallow (or exposed), it could overheat and fail. 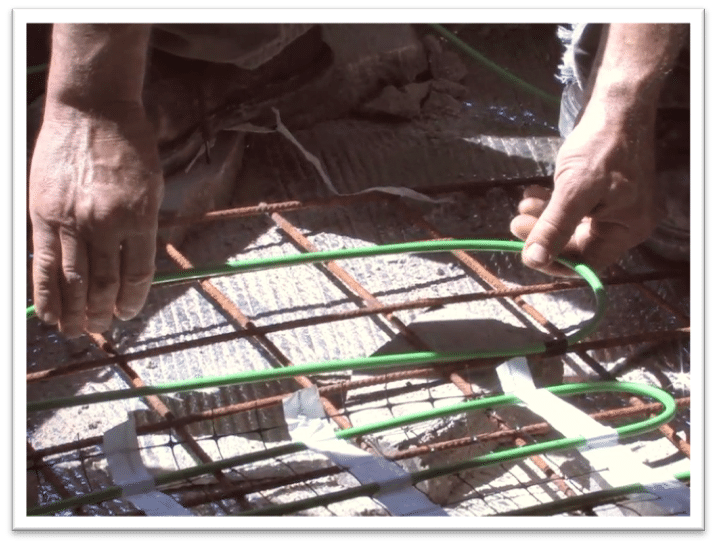 To make sure your heating element is the proper 2-3” from the final surface, many installers will use a rigid framework (rebar or wire mesh) that is propped up so that the heating element is exactly where it needs to be. Tip: For your framework, avoid using a metal mesh or frame that has sharp edges or burrs. 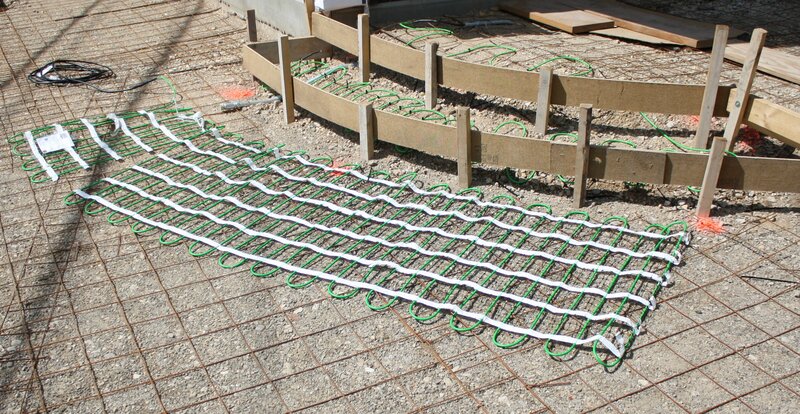 Once you have your framework in place at the proper depth, it’s a good idea to layout your snow melting system before you’re ready to attach it. Using your WarmlyYours SmartPlan should help make this process as smooth, and as accurate, as possible. This will help ensure that you have the right amount of heating elements prior to actually attaching them. If you identify any issues at this vitally important stage, we recommend that you contact us at 800-875-5285, and we’ll help you identify the right solution to the problem. 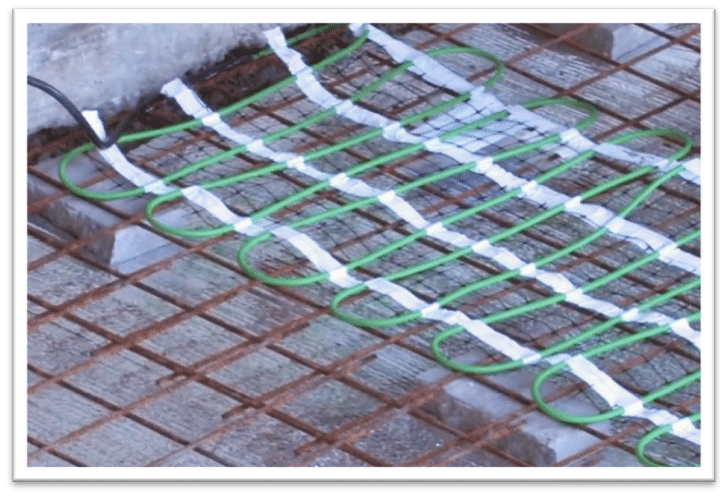 The snow melting mats, available from WarmlyYours, are designed to maintain the desired 3” spacing of the heating cables. The heating elements should be attached to the mesh using wire ties or zip-ties to maintain proper depth and spacing. 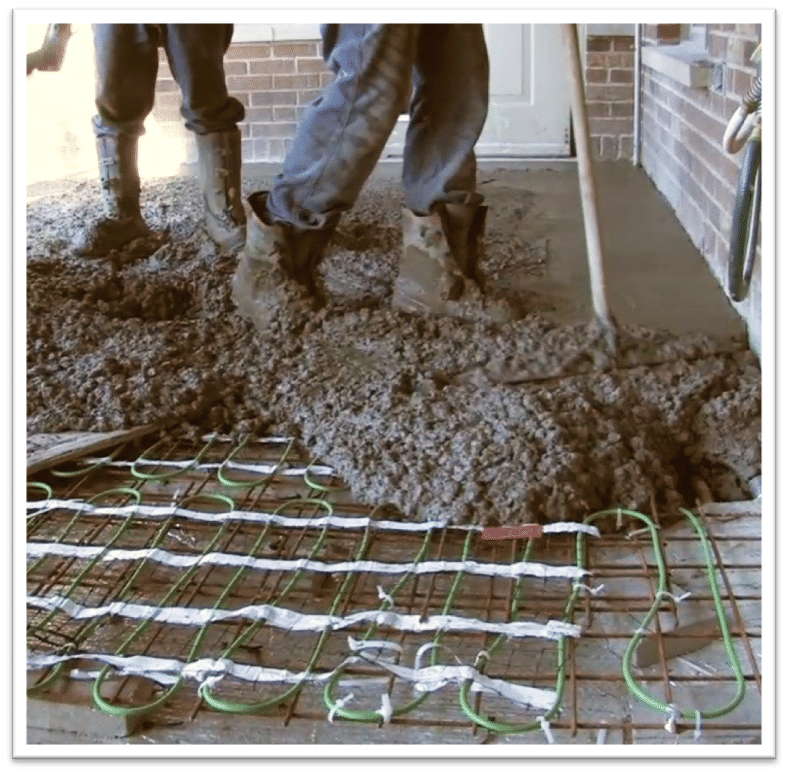 Attaching them keeps the heating element flat and prevents it from “floating” too close to the final surface when the concrete is poured. The power is carried to each cable by a “cold lead,” which is connected to the heating cable on the mat via a manufacturer’s splice. 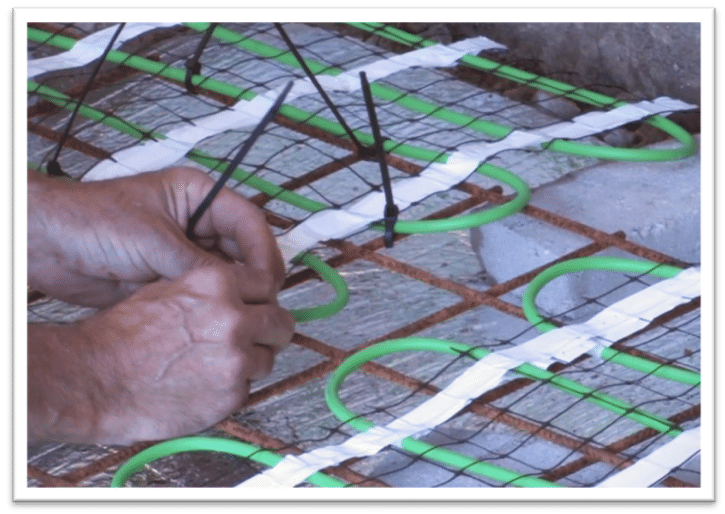 By simply making sure that the splice is embedded, you’ll ensure that it has an appropriate medium (concrete, sand, mortar, or stone dust) to prevent overheating. 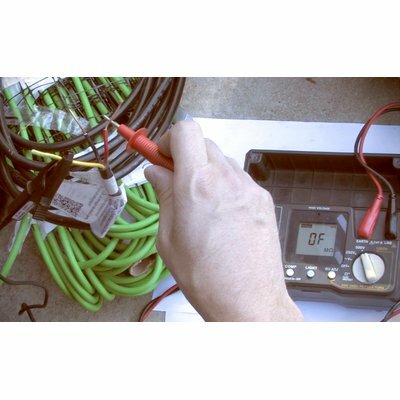 The power is carried to each cable by a “cold lead,” which is connected to the heating cable on via a manufacturer’s splice. 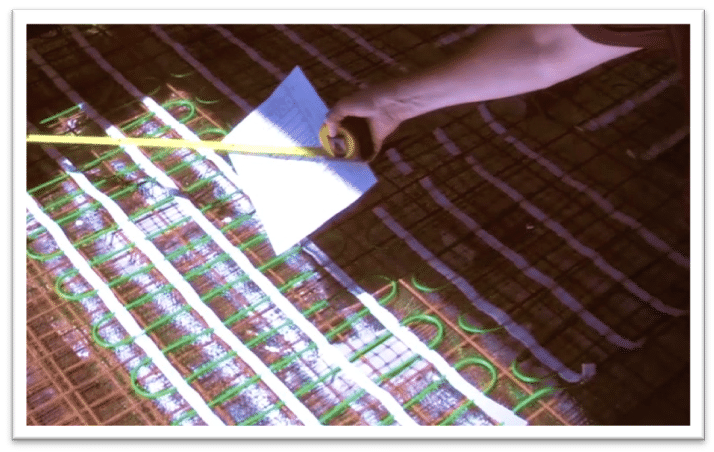 By simply making sure that the splice is embedded, you’ll ensure that it has an appropriate medium (concrete, sand, or stone dust) to prevent overheating. These controls (with the exception of the manual option) are able to function with the use of sensors. 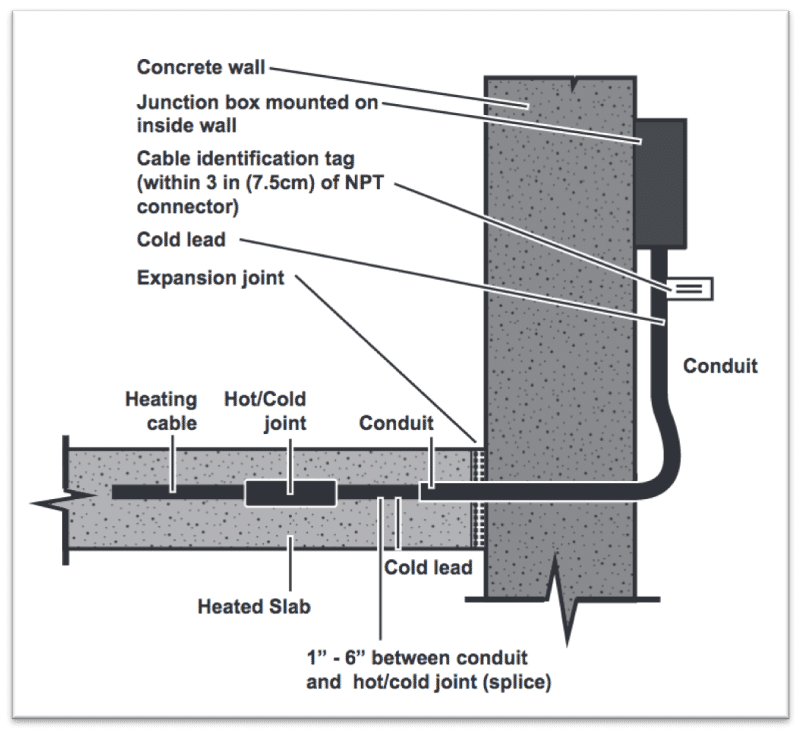 There are two main types of sensors: slab and aerial. 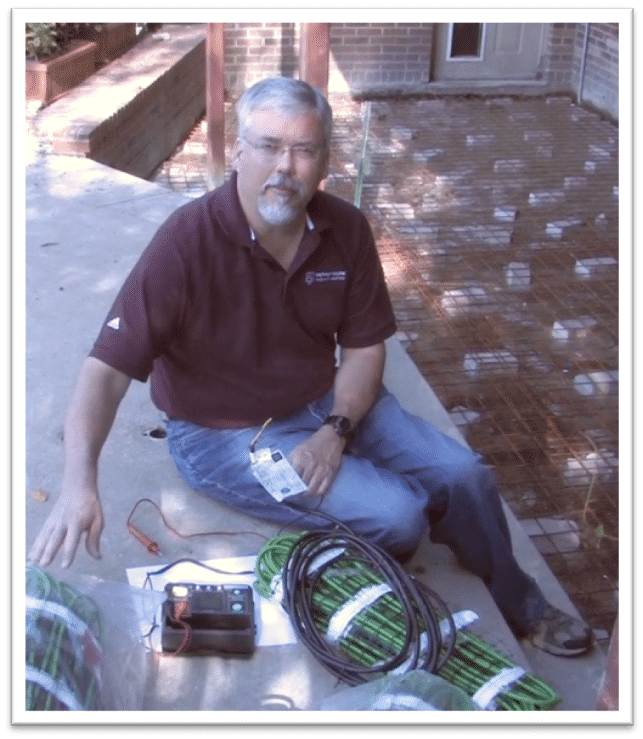 Slab sensors are installed along with the heating element (but never touching it) and they can measure the conditions at the surface (slab sensors are not recommended for use with pavers). Aerial sensors are installed in the open and are actually able to detect whether or not it’s snowing. 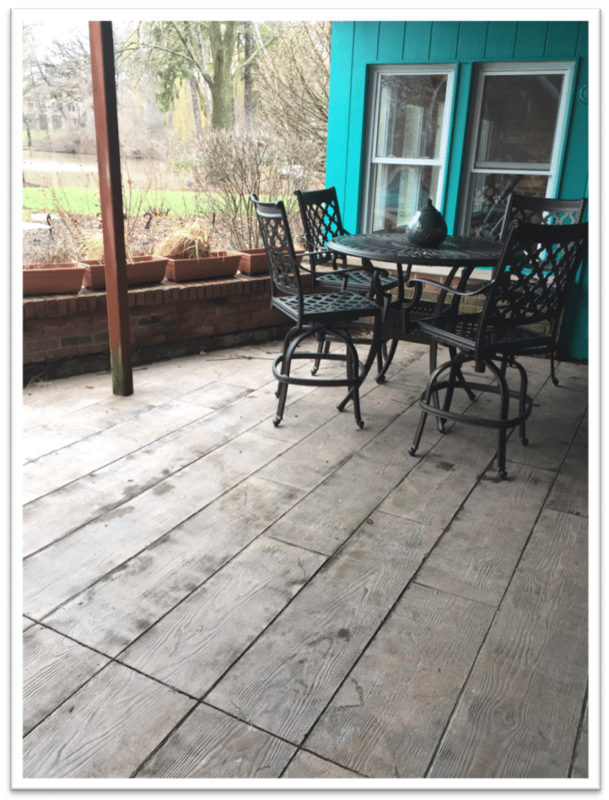 This patio featured a beautiful rolled faux-wood finish. Once the patio is completed, it’s ready to be used. Just add snow! Just imagine how nice it will be to be able to use your patio in the dead of winter to let your pets out, or just to simply enjoy a minute or two out of the house. 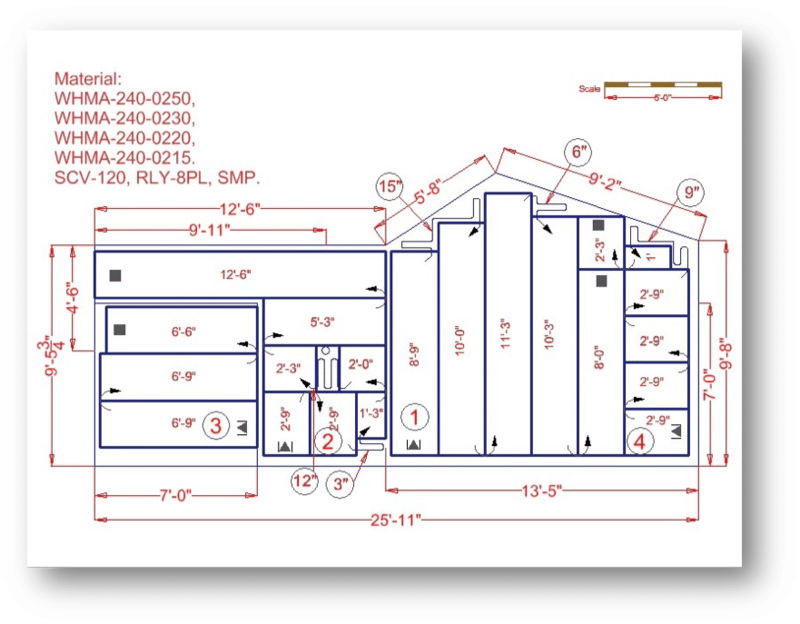 It only cost $3,302 for the entire snow melting system, with full coverage, that was installed in the patio featured in this design guide. *All pricing information is in US dollars. TThe operating cost for a snow melting system in a typical driveway is only $0.92 per hour. This calculation is based on the national average of $0.08 per kWh, but consumption may vary based on individual conditions. 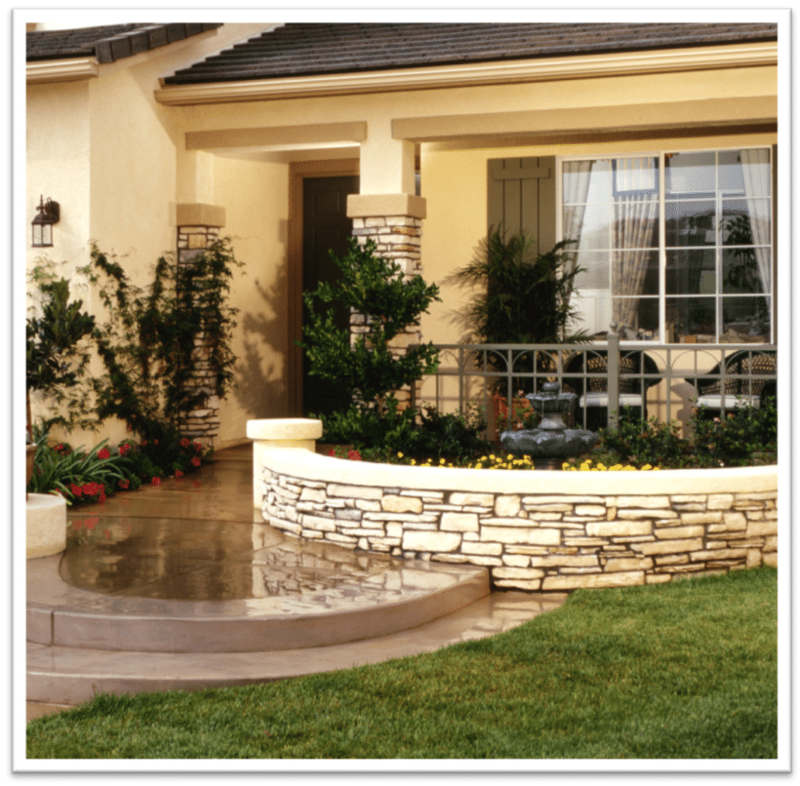 Get your snow melting project started with an instant quote right now!